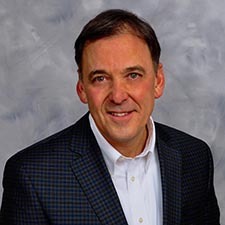 Bob Gallucci is the Senior Vice President of Client Engagement, where he is responsible for leading and growing Hilldrup’s relationships with our relocation management company (RMC) partners. He’ll be supporting the sales and marketing efforts as they relate to RMCs as well as developing best practices and processes for providing outstanding service to these RMC partners. Bob has over 33 years of experience in the transportation industry. A recognized expert in corporate relocation and client relations, Bob has been inducted into United Van Lines’ Masters Club Inner Circle, one of the transportation industry’s top honors, several times. He has a proven track record of providing innovative solutions to a variety of clients throughout his career. Bob is a long-term member of the Employee Relocation Council where he earned his Global Mobility Services (GMS) designation. Bob holds a bachelor’s degree in business management from Sacred Heart University. He and his family currently reside in Connecticut.